Instant noodles is an affordable comfort food loved by many people. Though well-liked, it is viewed as a “convenient” food rather than a delicacy. However, Flying Wok (飞锅) located in Canberra Street has managed to sell such a simple dish like hotcakes. With raised eyebrows, I decided to head down and investigate the hype. Newly opened on 1 November 2018. 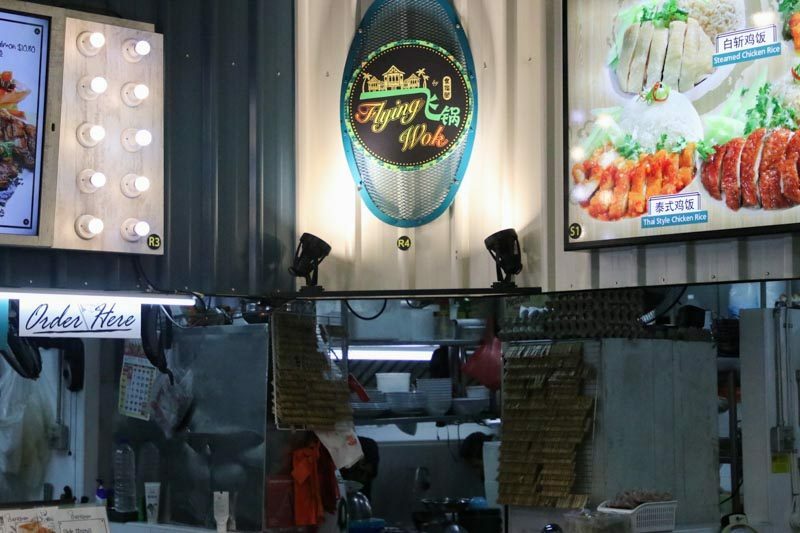 Flying Wok prides itself as one of the only few halal zi char stalls selling food at affordable prices. 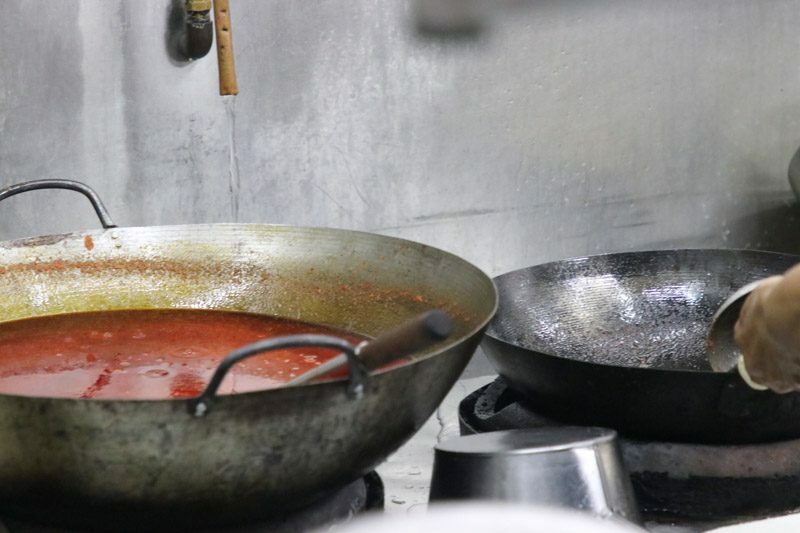 They are famous for fresh seafood and signature Jumbo Mama Wok that can feed up to 10 people! We were warmly received by one of the friendly bosses, Jonathan, a down to earth person who insists on bringing the best cuisine to everyone, hence Flying Wok is also halal-certified. 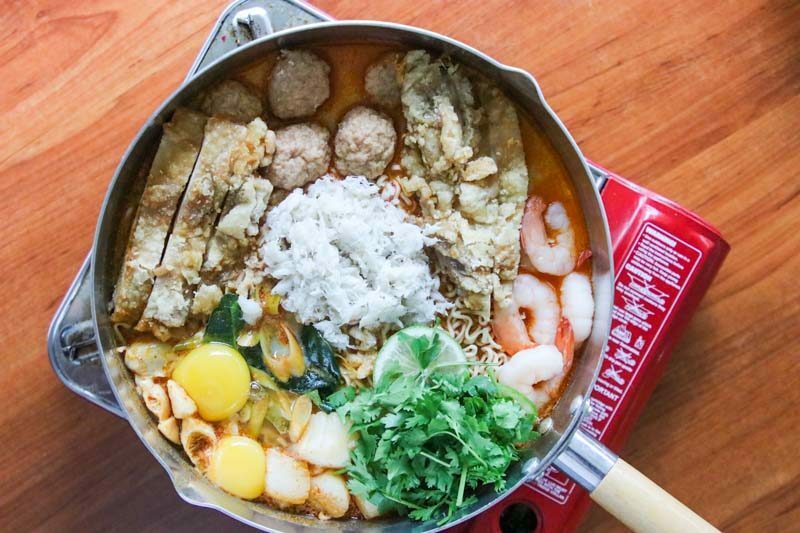 To make the tom yum broth, Jonathan painstakingly went on a tom yum eating streak for eight days until he managed to finetune the taste of the broth that is up to standard. Now, that’s real dedication! 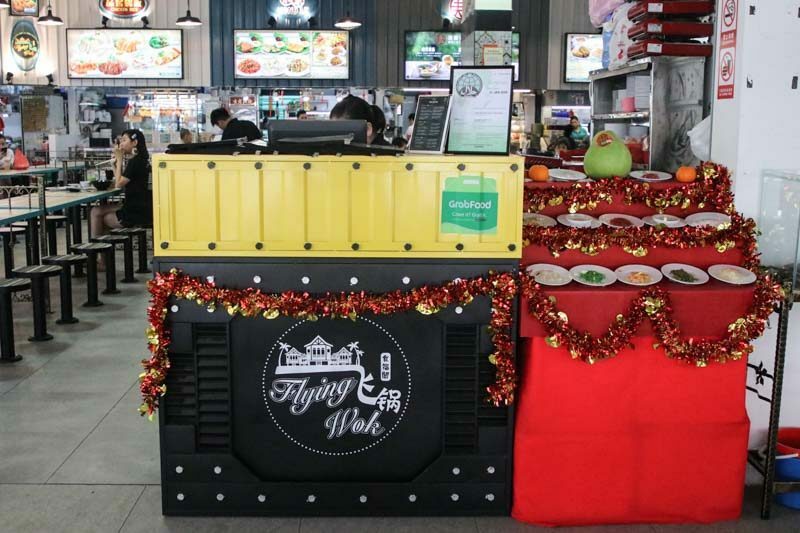 I started my feast with Flying Wok’s signature Jumbo Mama Wok (S$49.90 for 8 – 10pax) that got it famous. 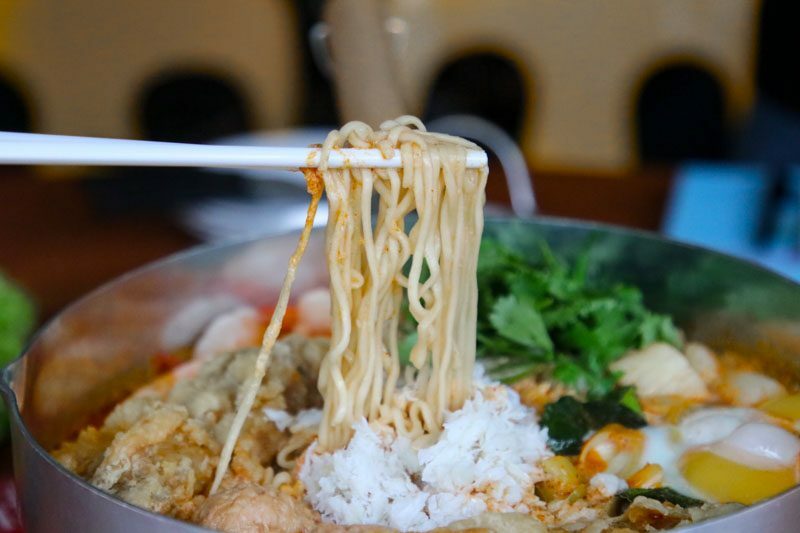 The dish is served in a pot of tom yum broth with fresh prawns, scallops and mama noodles packed to the brim. To make it more substantial, it contains chicken chop and meatballs too. The homemade tom yum broth was a masterpiece with a wonderful balance of sour and spicy. Those that dig extra spiciness can opt to add extra chilli padi, though I would not recommend as it might spoil its flavour. The seafood was fresh and succulent which I could not get enough of. However, the dish was so massive that the three of us could barely finish a quarter of it. 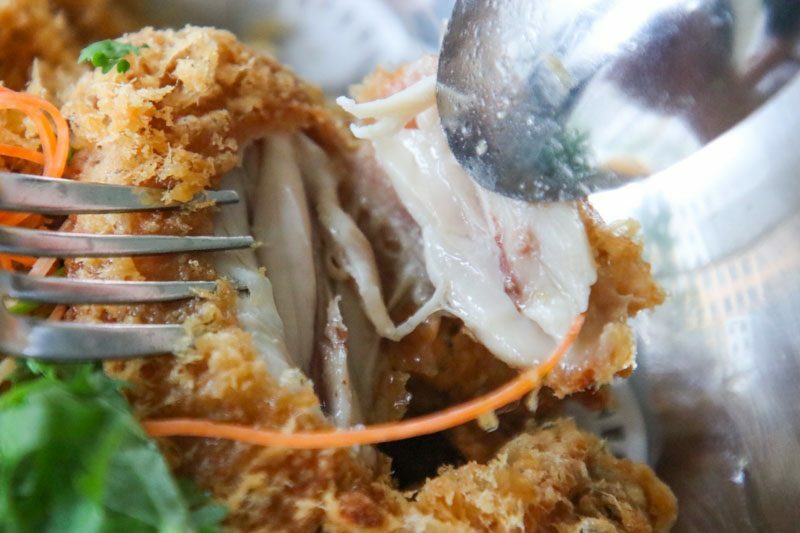 You should definitely grab your whole family along to demolish this dish. Do note that there are smaller portions to cater to smaller groups. 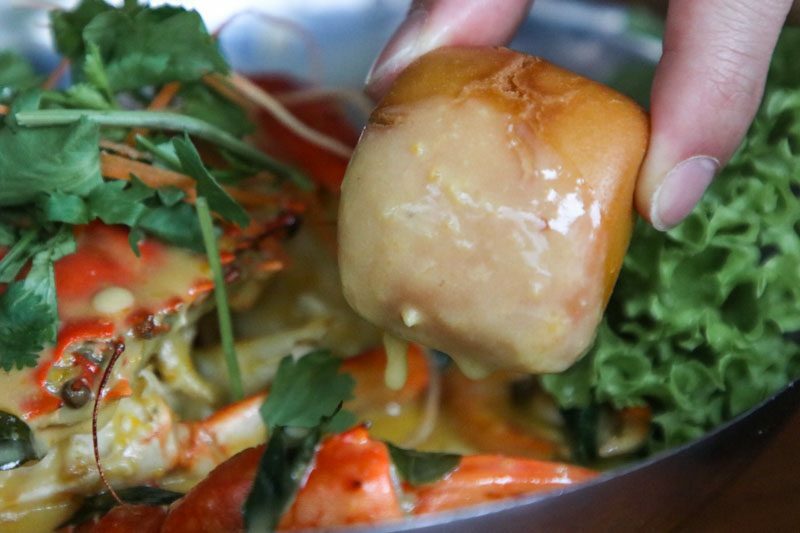 I really love to eat salted egg yolk crab, and I love it even more when paired with gloriously fried mantou! 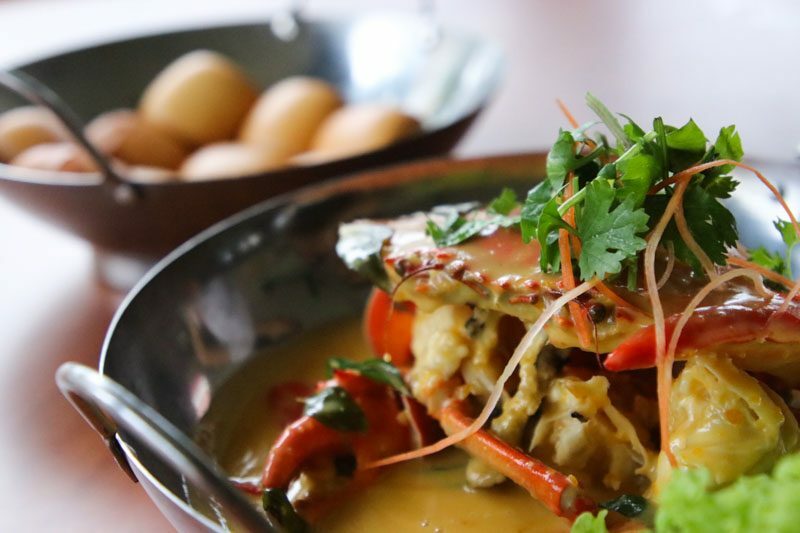 The Salted Egg Crab (S$37) was drawing me in with just its sheer sight and aroma. The salted egg yolk sauce won me over with its thickness or how the Hokkiens would aptly describe as ‘gao’. However, I found it to be a little too salty for my liking when eaten on its own. The crab meat was sweet and plump. I was later told by Jonathan that the seafood was imported directly from Sri Lanka, which explains its freshness. The mantou was fried to perfection, with a crispy crust and a soft fluffy centre. I would highly recommend that you order this dish while you at Flying Wok. 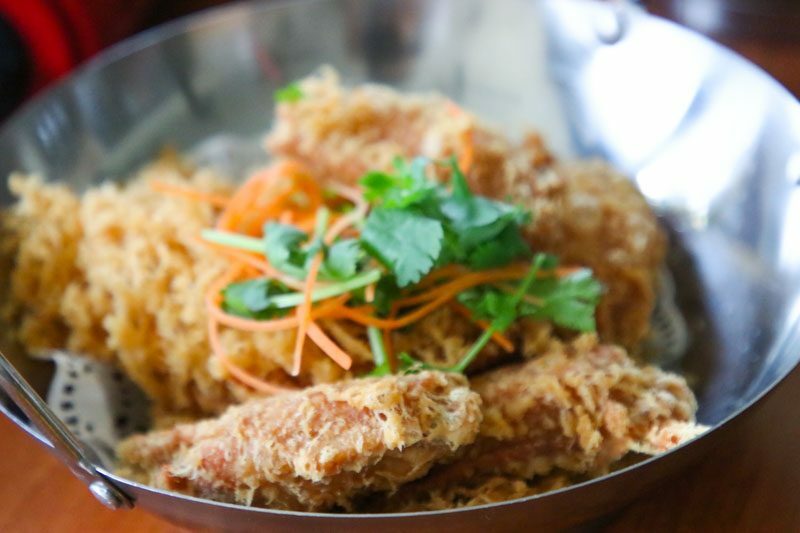 If you’re looking for a side to share, go for the Prawn Paste Chicken (S$15 for regular size). I greedily snatched one and took a huge bite and really enjoyed the distinctive prawn paste flavour. The meat was juicy, tender and well cooked. While it was palatable, we felt that the dish presentation could be slightly improved to match its superior taste. Perhaps, the chicken wings could be arranged in a more orderly manner and be garnished with spices. To add some fiber to the meal, we were served the Four Heaven Kings (S$12, regular). I caught a whiff of the sambal chilli used to fry the veggies while it was brought to the table. 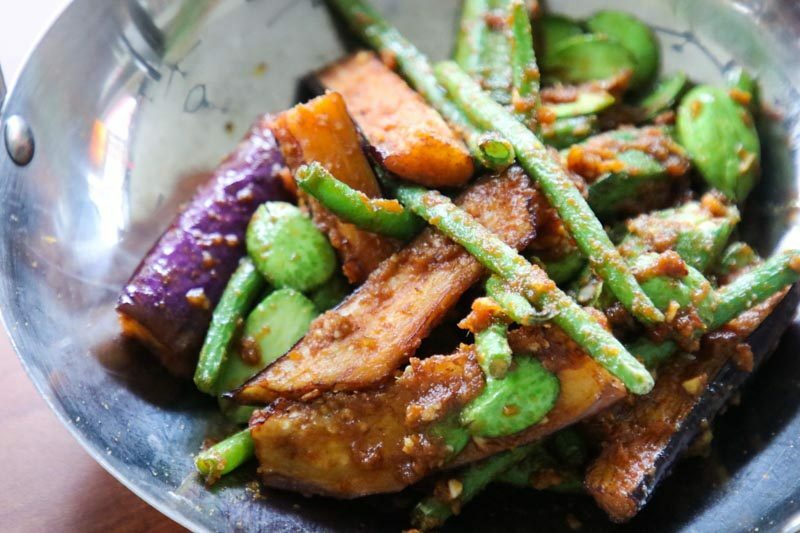 The key to the success of this dish was undoubtedly the sambal sauce, lending a spicy kick to the otherwise plain vegetables. I liked that the brinjal was not mushy due to overcooking, which is pretty common in zi char stalls. With such fantastic food at low prices, I will definitely be back for more. My only gripe about Flying Wok would be its remote location as it is quite a distance from the nearest MRT station. If you are working within a budget to have gatherings or a place to feast at, look no further than Flying Wok. Drive down if you have to, because it is definitely worth it!